In this April 14, 2009 photo, Fotios "Freddy" Geas appears for a court proceeding in his defense in the Al Bruno murder case, in Springfield, Mass. Geas and at least one other inmate are being investigated as suspects in the slaying of former Boston crime boss James "Whitey" Bulger, who was killed behind bars on Tuesday, Oct. 30, 2018, less than 24 hours after being transferred to a federal prison in West Virginia, according to a former investigator briefed on the matter. Fotios “Freddy” Geas is under investigation for links to the lethal assault on James ‘Whitey’ Bulger. Bulger, the murderous Boston gangster who benefited from a corrupt relationship with the FBI before spending 16 years as one of America’s most wanted men, was slain in federal prison. He was 89. Bulger was found unresponsive on October 30 at the U.S. penitentiary in West Virginia where he had just been transferred. According to the Federal Bureau of Prisons, a medical examiner declared him dead shortly afterward. Authorities did not immediately release a cause of death, but Justin Tarovisky, a prison union official, told The Associated Press it was being investigated as a homicide. Geas, mafia hitman is suspected of taking part in Boston mob boss Bulger’s killing, because he despised snitches. According to the Boston Globe: “Freddy Geas, 51, and his brother Ty, 46, were a tag team pair of criminals from West Springfield who were well known, and feared, in Western Massachusetts. They have long rap sheets and were known for their violent impulsivity…the Geas brothers were well known to local authorities as the hired muscle for an aspiring Mafia leader named Anthony Arillotta. “Because they were Greek, the Geas brothers could not be ‘made’ members of the Mafia, but they carried the mob’s imprimatur, according to Springfield and State Police. 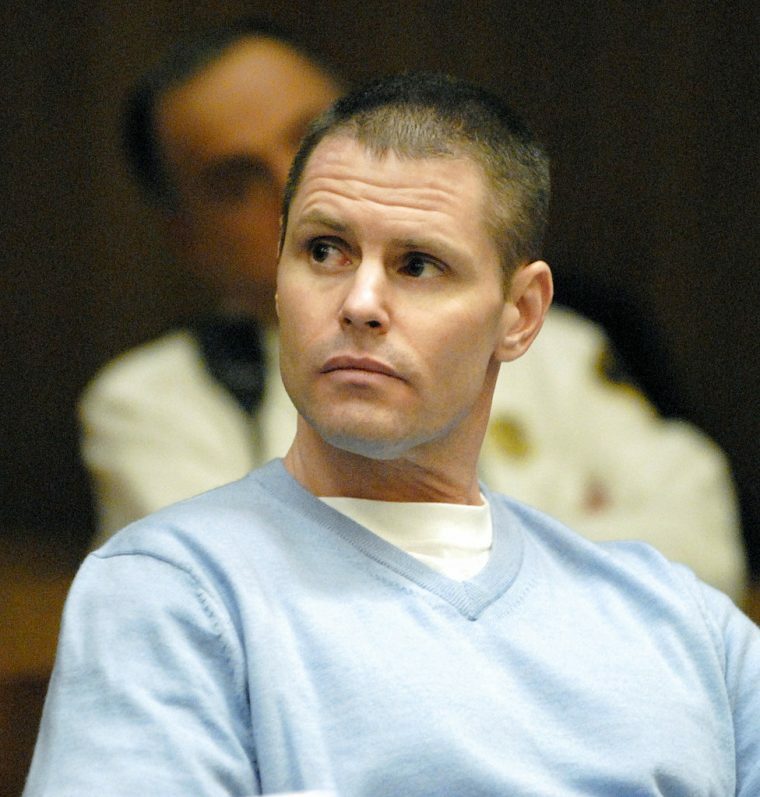 Geas and his brother were sentenced to life in prison in 2011 for their roles in several violent crimes, including the 2003 killing of Adolfo ‘Big Al’ Bruno, a Genovese crime family boss who was gunned down in a Springfield, Massachusetts, parking lot. Private investigator Ted McDonough, who knew Geas, told the Globe: ‘Freddy hated rats. “‘Freddy hated guys who abused women. Whitey was a rat who killed women. It’s probably that simple,’ McDonough told the newspaper, which first reported that Geas was under suspicion. “It was not clear whether Geas has an attorney. Several other lawyers who represented him over the years didn’t immediately respond to a request for comment. “An FBI spokeswoman in Pittsburgh declined to comment on Geas. Federal officials said only that they are investigating the death as a homicide. “Bulger’s death was the third killing in the past six months at the prison, where union officials have raised concerns about dozens of vacant jobs. Two inmates were killed in fights with other prisoners in September and April. “Bulger led South Boston’s Irish mob for decades and became an FBI informant who supplied information on the New England Mafia, his gang’s main rival, in an era when bringing down the Italian mob was a top national priority for the bureau. “Tipped off that he was about to be indicted, Bulger became a fugitive and eluded authorities for 16 years before being captured in 2011. He was convicted in 2013 in 11 underworld slayings and a long list of other crimes and was sentenced to spend the rest of his life behind bars. “He had just arrived on October 29 at USP Hazelton, a high-security prison in Bruceton Mills, West Virginia. He had previously been in a prison in Florida, with a stopover at a transfer facility in Oklahoma City. Federal Bureau of Prisons officials and his attorney declined to comment on why he was being moved. “Bulger’s attorney, J.W. Carney Jr., blamed his death on prison officials, saying Bulger ‘was sentenced to life in prison, but as a result of decisions by the Federal Bureau of Prisons, that sentence has been changed to the death penalty.’ “Bureau of Prison officials had no comment on Carney’s remarks. Damn I did not knew Bulger was killed. Geas (Yéas? ), that's an odd name, he is probably maniot I guess.